Most of the blogger try to write blog post frequently to get visible in the search engine as well as to get more organic traffic. Writing frequent blog posts also helps to bind your followers and regular blog readers with you. But we generally forget about our old blog posts. Most of us miss the blog posts which gave thousands of traffic in the past and still have lots of relevance. If you’ll not take care of your older blog posts, as time passes you’ll get null or almost negligible traffic on those. Also for the older blog post, SERP (search engine page ranking) will get down day by day. Do you want this to occur? Who will? For this many bloggers try to keep updating the older blog post to make it alive. But this is not sufficient. No doubt this is a tremendous method to keep alive the old blog post but you need to do some other and useful stuff also to get decent traffic on your older blog posts and also to maintain its SERP in search engines. One best way to keep getting decent traffic on an older blog post is to make posts search engine friendly. But this is not a cup of tea for everyone, especially for the newbie. So today I’ll discuss few best ways to make your older blog posts alive and maintain its traffic as well as rank in search engine. And I’m assuring you that this is not going to take much time of yours. Already you’ve worked hard while writing those blog posts and have also received good traffic, now just you should spend few minutes to keep those alive and keep getting traffic. But one thing that I want to mention here is, don’t overuse these methods because this will lead to the make bore your followers. Apply these tips to only those old posts which are still valuable and you think people should know about that. For example if you’ve written a blog post on ‘Top 20 best blogging tips’ a year ago, you can apply these tips for this blog post because still it has so much relevance and with time this post must not have lost their importance whereas if a year ago you wrote on top 10 bloggers, who know whether they’re still the top 10 or someone else has acquired the place. 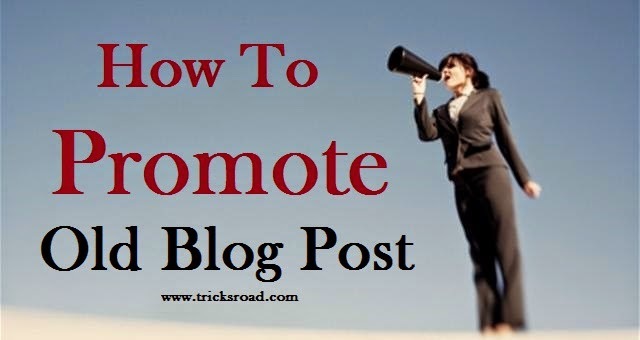 So you should be conscious while selecting the old blog posts for promotion. If you’re using wordpress, it’s very much easy to promote the old blog posts using plugins but in case of blogger platform, it’s little bit difficult because no such plugins are available and you have to do it either manually or using few apps where you can schedule the blog posts for promotion on social media. So today I’m going to talk different ways on how exactly we should promote our old valuable blog post effectively. It keeps your readers engaged and so page views will increase and hence decrease the bounce rate too. By linking your old blog post in the new blog post, you can keep alive the old blog posts as well as can increase the traffic too. Interlinking also helps to increase the SERP. Suppose you’re writing a blog post on How to increase AdSense earning and sometime in past you already have written how to apply for apply for AdSense then you can simply interlink the older post in the new one by using the anchor tag. In wordpress there are several plugins available to do interlinking. SEO Smart Link is one of them. You can take use of this plugin to auto link the old blog posts. Twitter is also one of the most famous places to promote not only the new blog post but also the old posts. By time your twitter followers will increase and they’ve followed you by liking the link that you keep on sharing on your twitter profile and so they must be interested in knowing the stuffs you did in past too. So Twitter is the best place to share the old blog posts to engage your followers. I too use the same technique. I’m also using Twitter to tweet/retweet my older blog posts. Especially you should tweet those older blog posts which have received quite good number of shares/retweet in the past. For wordpress users, Tweet Old Post plugin is available. But if you’re on Blogger platform, you can either do it manually or you can use the apps like buffer or Hootsuite to schedule your older blog post. Using these apps you can save your time and can manage to do these effectively. As I explained in my previous blog post, Top 11 ways to get maximum traffic from facebook, facebook is the second most traffic provider for my blog. Facebook is the best place for connection and promotion both. If you’re following TricksRoad or added to me on facebook, you must have seen that sometimes I share my old blog posts too and by this way I drive good amount of traffic. You can use the apps like Buffer/Hootsuite to schedule all such posts on facebook too. But manage to keep the frequency optimum. Don’t overload it. This is also one of the best methods to promote old blog posts. I’m using this trick in effective way and this has given me good traffic and so sharing with you all. While going through forums or your own comments or comments on someone’s blog, if you found any readers asking about something related to your older blog post, write a summary and give the link of your old posts. By this way you can manage to attract good visitors also. This trick works great but need to be done with extra care. Recycling old blog posts means recycle your old blog post to your Home page by changing their date. But this trick is not for everyone. That’s why I said do it with extra care. While doing this you should take care that your permalink should not get changed. If your permalink has date or month, please avoid this method. Also this should not be done frequently. Either it is blogging or any other activity; one should always try to make most out of every single stuff they do. If it is blogging we should always try to get maximum of the every blog post we write. We should always try to write those posts which is timeless and which have value after months and years also. Also, we should make sure that our readers find a way to go through those posts. I’m sure after going through the above 5 techniques you’ll be able to promote your older blog posts very efficiently and you will be able to your targeted readers. I’m also sure you must be using some great techniques for promoting your older blog posts. Do let me know those awesome techniques through comments. If you liked this post, please consider it for sharing so that maximum people will get benefit with it. 15 comments to ''How to Promote your Old Blog Post Effectively"
Promoting old blog post is very important by Inter linking with new post, Twitter promotion also helps a lot , thanks for sharing this article. Thanks Sid for your nice words. Interlinking is the best way to keep the old blog post active !! Internal Linking: Yes it is indeed one of the best ways to promote older posts. I would start doing this. Twitter: Yeah recently I signed up for Buffer to promote my old posts. Lets see how it works. Recycling the posts - wow! I didn't knew about it Ashu. Thanks for sharing this trick. Thank you Ashu for sharing this post. And have a nice week ahead! Good to see you again at TricksRoad. I'm good bro and hope you too are doing excellent !! And i am glad to that you liked this post. Also i would like to suggest you, if you are using Buffer for free version, better use Hootsuite. Because buffer in free version allow only 2 social profile where as Hootsite allow 3. Thanks for the feedback and have a nice day. I personally think, social sharing of old posts is really important. I think, search engine and people both love ever green content. If a post stays inactive for a very long time, it might lose its ranking and readability. In this case, I really prefer to share the old posts on social media websites. Do you know there is a wordpress plugin named "Revive Old Post" formerly "Tweet Old Post" which actually do the same. It tracks old posts and shares them automatically to the connected accounts. I'm really enjoying to use this plugin. It saves me a lot of time. Thanks a lot for this excellent write up. Wish you all the best! Yes, I have mentioned about "Tweet Old Post" also in the post. This is a very essential and much needed plugin for the wordpress users which keep active the old posts from blog. Thanks for the advise and have a great week ahead. Great Post. I think it is vital that we promote our older posts. We spent a lot of time to provide quality content to our readers and some of those old posts are relevant to what we are currently blogging about. We should let our readers know by linking them. I was unaware of SEO Smart link, but will definitely download it today. I regards to Twitter, I use the Tweet Old Post Plugin and I absolutely love it. That is one of the most excellent ways to keep your post out there. My posts are not only tweeted on Twitter, but it is also tweeted on on shared on facebook, which gives me maximum exposure. You gave some really awesome ideas here and some I was unaware of. Thank you for sharing. I am very glad that you liked this post and much thanks for the wonderful comment. SEO smart link is a very good plugin for the wordpress users for internal linking. Use this and I am sure you will love this as you do 'Tweet Old Post' plugin. And i agree to you that Twitter and facebook are the two essential platform to share the old as well as new posts. Thanks again and have a great week ahead. Although my blog is not yet old enough to have very old blog posts but this was a very interesting article. Not many blogger think on the lines of promoting their old blog posts. This is the biggest reason for writing the evergreen posts. So,that they are valid long after they are written. However, even the evergreen posts tend to fade with time. Promoting the old posts will induce life into them. 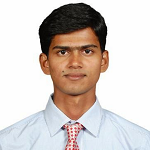 These tips that you have provided here would be very effective in doing the same. I also agree with the caution you might want to adhere if there is date in the permalink structure. Thanks for the sharing! Have a nice week! It's a nice article you've setup, and it's one of those article that can be very beneficial to every blogger. You know, getting traffic to our old posts is a plus to our traffic, and every blogger should strive to make that possible, but unfortunately, most bloggers don't practice it. here you've shared with us how we can be able to drive traffic to our blog old posts, using social networks like facebook, twitter, forums, blog commenting and recycling of old posts. I don't really like the recycling of old posts stuff, I've done it some time ago, but believe me, it's not adviceable you try this method if you want to build a blog community. Thanks for sharing the article about how to promote your old blog post effectively. Very interesting and informative article. I liked it. I hope it will helped me. Great point included in the post. Once again thanks for sharing views. Have a great week ahead. I'm very glad to know that you liked this article. Promoting old blog posts are necessary to keep getting traffic on those posts and to maintain it's rank in search engines. What a coincidence, Ashutosh! two days back I was thinking to do something with my old posts and today I visited your blog. Now I know what i should do. Thank you for the tips. Looks effective. This is indeed yet another vital post in relation to driving traffic to our old blog posts. comment in the recent past. But I have a doubt in the point you mentioned in the last of changing the date! Thanks Ashu for sharing such a lot of information..